7Q Spa Medical Center Has The Anti-Aging Solutions You’ve Been Searching For! 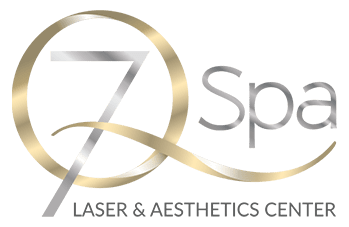 If fine lines, wrinkles, thin lips, and sunken cheeks are keeping you from looking and feeling your best, 7Q Spa Medical Center now offers a convenient, fast, and affordable anti-aging solution! Restylane®, a dermal injectable filler, works with your body’s natural processes to instantly smooth creases and add volume lost from decreased Hyaluronic Acid production. With one treatment, clients will see immediate results, while Restylane®’s unique formula continues to stimulate natural collagen production for up to nine months after each treatment! Watch the years instantly melt away with the most effective injectibles and filler treatments in Glendale; call 7Q Spa right away to speak with one of our friendly health and wellness professionals. Restylane® is an FDA-approved dermal filler comprised primarily of hyaluronic acid. Though hyaluronic acid is found naturally in skin, over time the production of hyaluronic acid decreases and the substance’s “healing” effects lessen; wrinkles, fine lines, and hollow-looking cheeks are, in part, a result of an insufficient amount of hyaluronic acid in a person’s facial tissue. Restylane® not only replaces the body’s lost hyaluronic acid, it also stimulates the production of natural collagen which leads to long-lasting results. By “filling in” for the body’s lost hyaluronic acid, Restylane® smooths wrinkles, diminishes stubborn facial creases, and adds volume to thin lips and hollow cheeks in a way that looks completely natural. Most clients experience dramatic results after just one treatment, and because Restylane® also works by stimulating the production of skin-tightening collagen, the positive effects of this safe and affordable dermal filler can last for up to nine months! Increasing the fullness of one’s lips is an immediate, effective way to achieve a drastically younger appearance. Like other high-quality injectibles, Restylane® boosts volume by infusing the lips with hyaluronic acid, a naturally-existing sugar molecule that fills in thin areas by binding to moisture. Lip augmentation treatments using Restylane® typically take less than an hour, and results are visible within hours of the simple, nearly-painless procedure. What’s more, Restylane® actually stimulates the production of new collagen, meaning that the desired effects will last long after the FDA-approved filler is harmlessly absorbed by the body. After a brief consultation to determine the focus areas, one of 7Q Spa’s experienced physicians, dermatologists, or nurses will administer Restylane® using an extremely thin needle. Because Restylane® contains lidocaine (an anesthetic), the 30-minute procedure is usually completely painless. Following the treatment, some clients experience minor swelling, redness, pain, bruising, or tenderness around the injection sites; these side effects are typically mild and normally last less than seven days, though symptoms may be exacerbated if clients rub or manipulate injection sites during the first 78 hours. To avoid bruising and bleeding, we discourage Restylane® treatments for those who have recently used blood-thinning or anti-clotting drugs. The firming, smoothing, and volumizing benefits from Restylane® typically last up to nine months. Speak with one of 7Q Spa’s friendly and knowledgeable health and wellness professionals to learn more about the smoothing, volumizing effects of Restylane®’s injectable filler treatments.